Ok, so time has got the better of me and I've been slack in updating my blog. But here's a further update on our road trip of New Zealand back in April. After visiting the Bay Of Islands the next stop on our road trip of New Zealand was Rotorua. This area has many geothermal attractions including geysers, boiling mud and steaming water. The geothermal activity also results in a lot of sulphur gas in the air (rotten egg gas), and for this reason it was probably fortunate I found no second hand book stores in the town as I suspect they would have absorbed the smell. Regardless, if you ever visit NZ you should definitely visit this area. After leaving Rotorua we headed south. We had a snack break in a small town named Sanson that also had a large second-hand book store. I found no Bonds and the large sign on the front door "Absolutely no photos inside" stopped me from taking any further snaps. The last city we visited on the North Island was the capital Wellington. 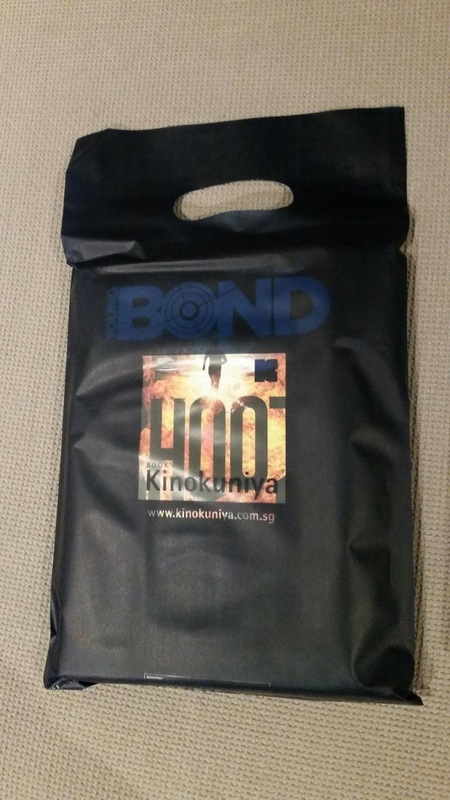 Prior to our arrival here I'd emailed another James Bond book collector, John F who lives in NZ, to learn the location of some second hand book stores to visit. He summed it up in two words; Cuba Street. So my wife and I grabbed a map of the city and walked the streets. The first store we found was Ferret Bookshop at 175 Cuba Street. The woman behind the counter was very helpful and led me to the two Bond books she currently had on the shelves. Unfortunately I had them both. Next we walked to Pegasus Books Shop at 204a Left Bank just a little down he street. No luck here either but they a huge variety of books, all well organised and in good condition. We then walked down Cuba Street to Arty Bees Books. Arty Bees Books is located at the corner of Cuba and Manners Streets. It was easily the largest second hand book store I visited in the North Island and the way it was laid out and the way the books were organised reminded me of Russells Books in Canada. It felt like the store sold new books, not second hand ones. Unfortunately no luck in this store either, but these three book stores on Cuba Street were well worth the visit. Finally we managed to drop by Whicoulls book store on the way back to our hotel. This chain of stores selling new books is common throughout NZ. In December 2015 my friend Yan travelled to Singapore. While there she was kind enough to visit the Kinokuniya Bookstore and take some photos for me. 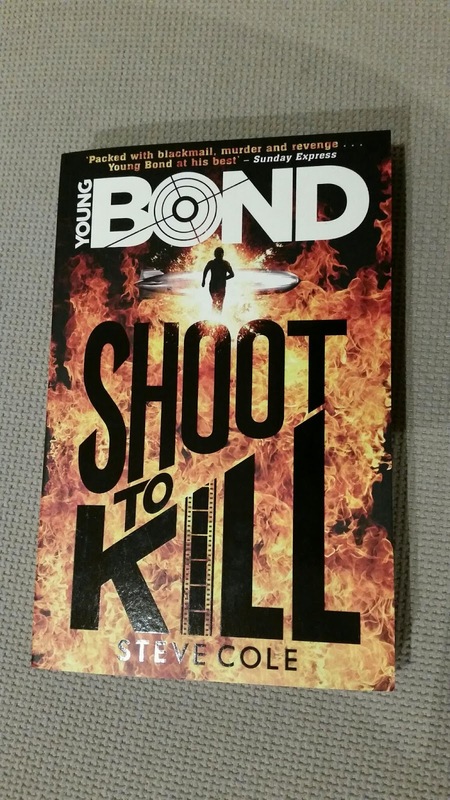 She noticed they had many copies of the UK version of Steve Cole's Young Bond novel "Shoot To Kill" on the shelves. At the time that version of the cover was not available in Australia. Six months later this cover is still not available here and according to staff at the many book stores I've visited there's no release date for it at this time. So two weeks ago when Yan mentioned she was travelling to Singapore again I asked if she could visit Kinokuniya Bookstore and purchase a copy of "Shoot To Kill" for me. Today was her first day back at work and sure enough she'd bought a copy, the last on the shelves in Singapore. And here it is... Thanks heaps Yan !